E.114A. 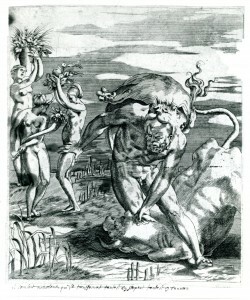 HERCULES FIGHTING CERBERUS, engraving. A slightly rough reversed copy of Caraglio’s print (Berlin); see under E.19-24. E.114B. 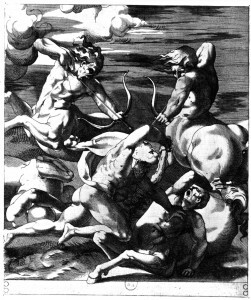 HERCULES FIGHTING THE CENTAURS, engraving (Fig.E.114B). On this print, see under E.19-24 (Paris). E.114C. 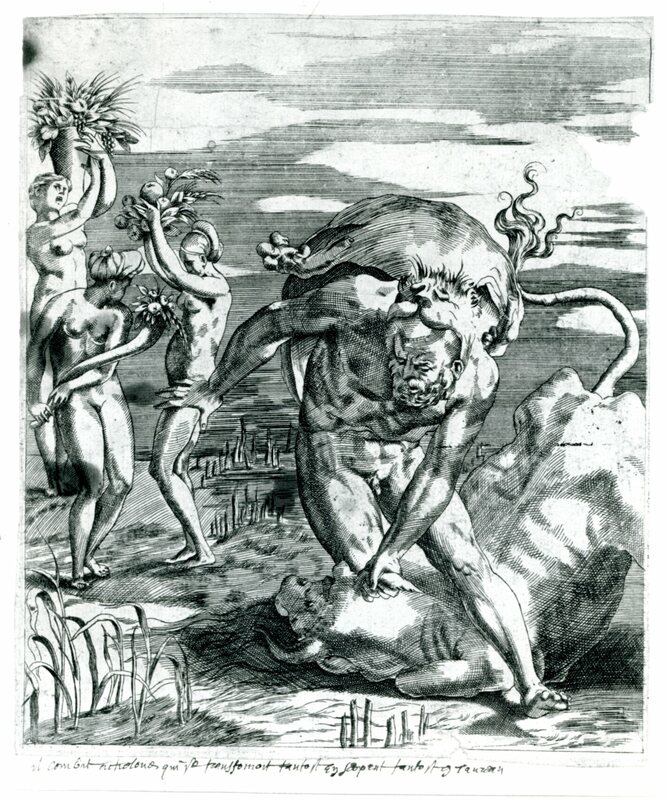 HERCULES OVERPOWERING THE RIVER ACHELOUS, engraving (Fig.E.114C). On this print, which is an accurate reversed copy of Cargalio’s engraving, see under E.19-24 (Oxford). E.114D. HERCULES FIGHTING THE CENTAURS, engraving. On this reversed copy of Caraglio’s print, see under E.19-24 (Bologna).